Why do we seek to be judged? In more ways than one last week was a very flat week photographically speaking. After spending the previous week wandering the streets of Melbourne I returned to Wellington with a cold. The weather all week was crap and so was my main work (as we are going through a restructure). It was therefore a real struggle to find the motivation each day to ensure that I shot the image for my “photo a day” challenge. It was therefore probably not a good week to have several images up for judging in the week, and my underlying mood probably resulting in feeling particular bad when the results came out. First up was my Audio-Visual entry in the Tauranga AV competition and the results came out on Monday. I ended up getting nowhere, which I have written about in a previous blog entry, and are still waiting on some feedback from the judges. 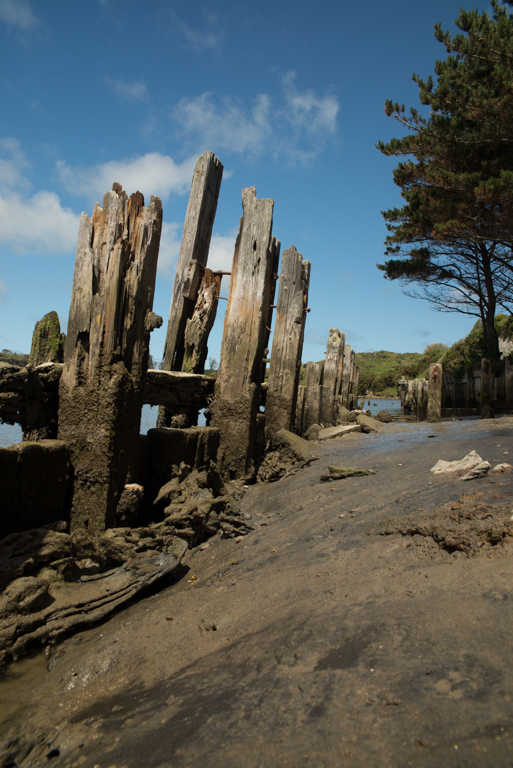 Then on Tuesday night I had two images being judged in the Hutt Camera Club Ladder competition. The set topic was “wear & tear. Both images got an “accepted” grade which again was disappointing as I had hoped for higher. The judge was a local professional photography who admitted that he shot weddings and therefore was not overly qualified to judge other types of work. The images and the judged comments are shown below. 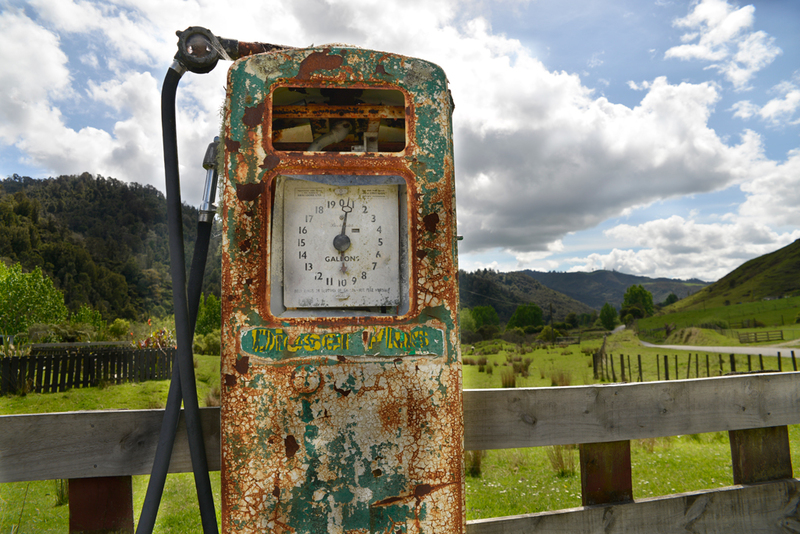 An old petrol pump that we found on the edge of the road. The judge thought that the crop was too tight and that he could not get the context that the pump was in. Finally on Sunday I entered my “The Wolf Within” print to an image critiquing session of the Wellington branch on the New Zealand Institute of Professional Photographers (NZIPP) under the creative portrait category. NZIPP judge on a different way than used in camera clubs, or any competition run by the Photographic Society of New Zealand (PSNZ), so I was interested to see how the image would do there. The event was sponsored by Canon so it was a great opportunity to see what the image looked like on high quality paper. The Wellington group use the session as a lead in to the annual NZIPP Iris awards so many of the images were ones that the photographers were considering entering. The judges were aware of this therefore the amount of feedback received was actually greater than perhaps would have been if it had been an actual competition. The image scored an average of 66 which was midway through the range considered to be of “professional standard”. I had hoped for a little more, but given that there were three very experienced judges and the comments made about the image the mark was probably accurate. 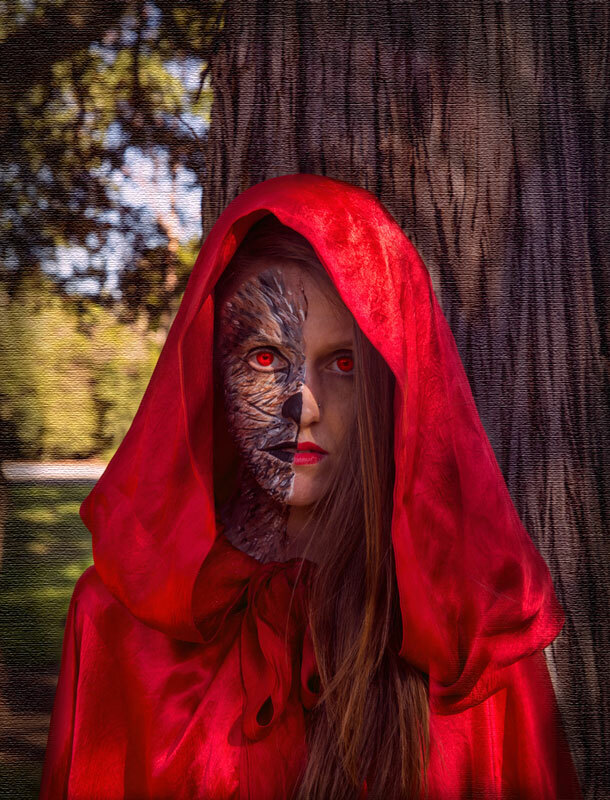 The Wolf Within – The judges did not like the texture applied to the image. They thought the red in the eyes should have not been applied to both eyes. That as the wolf is normally evil that it should have been in shadow rather than in light, and that I should have removed the bright line on the left of the image. At the end of the week I felt really down about the standard of my work and I really questioned why I had bothered to subject myself to this process. After consideration I decided that you need to invite such critique if you are to advance in photography because in it, like life in general, we learn so much more from our mistakes than our successes. If the rules allow for the use of photoshop then use it to remove any and all elements in the image that may distract.